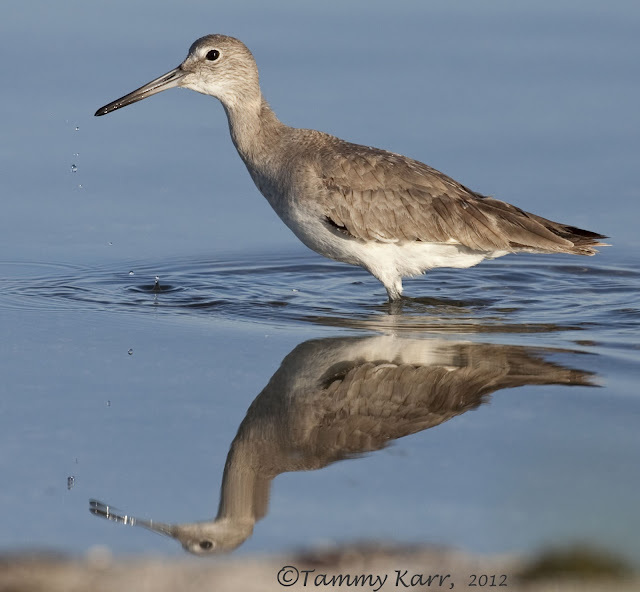 Very little wind and bright blue skies made for a great morning at the Merritt Island NWR. It has been a little over a month since I visited and there seemed to be fewer visiting birds. 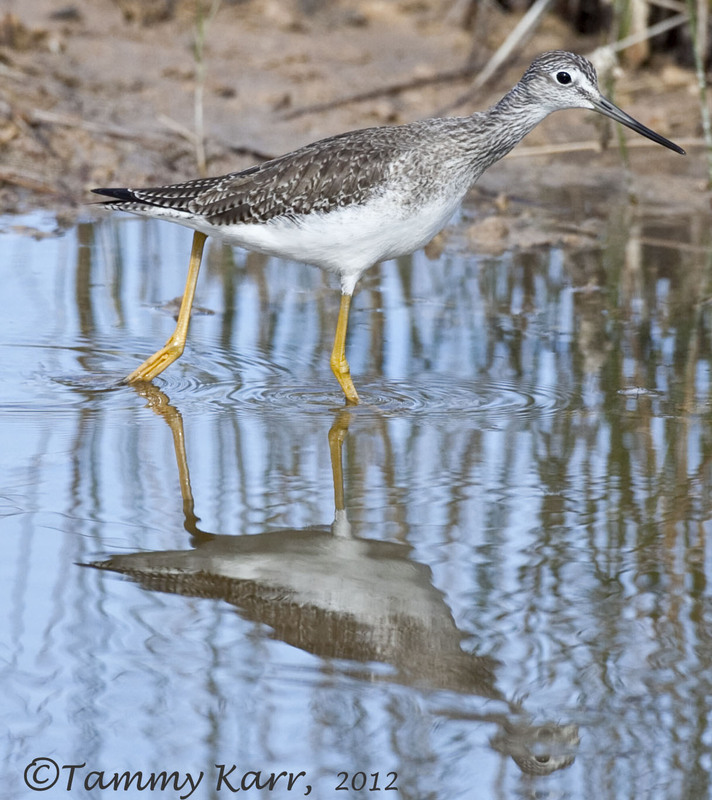 Shore birds were the most abundant birds at the refugee today. 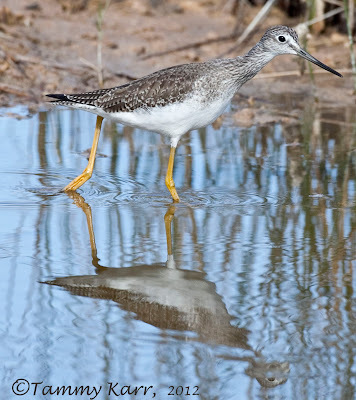 I observed one or more of the following varieties: Willet, Dunlin, Killdeer, Greater and Lesser Yellowlegs, Least Sandpiper, Black-bellied Plover, and Wilson's Snipe. The variety of ducks was minimal. I saw numerous Blue-winged Teals and Northern Shovelers as well as one Mottled Duck. There were several Coots throughout the area. I saw a few pairs of nesting Ospreys, but no other raptors. There were a few Roseate Spoonbills; I had a opportunity to observe one foraging right near the shore. I saw several Great Blue, Tricolored, and Little Blue Herons as well as one Green Heron. I also saw 1 Great Egret, 2 Snowy Egrets, and 1 Reddish Egret. White Ibises, Boat-tailed Grackles, Mourning Doves, Savannah Sparrows, and a Pine Warbler sum up the day! Beautiful shots with nice reflections....but the last one is FANTASTIC....my COMPLIMENTS. Wonderful images Tammy. That is a HUGE fish on the Great Blue's bill! Very nice shots of some lovely birds Tammy! Love the Willet and the Spoonbill shots! How the hell is it going to get something as big fish by swallowing it, the Great Blue Heron is a specialist. And, I have to say, beautiful photos. The spoonbill....god, the spoonbill! Facemelting. 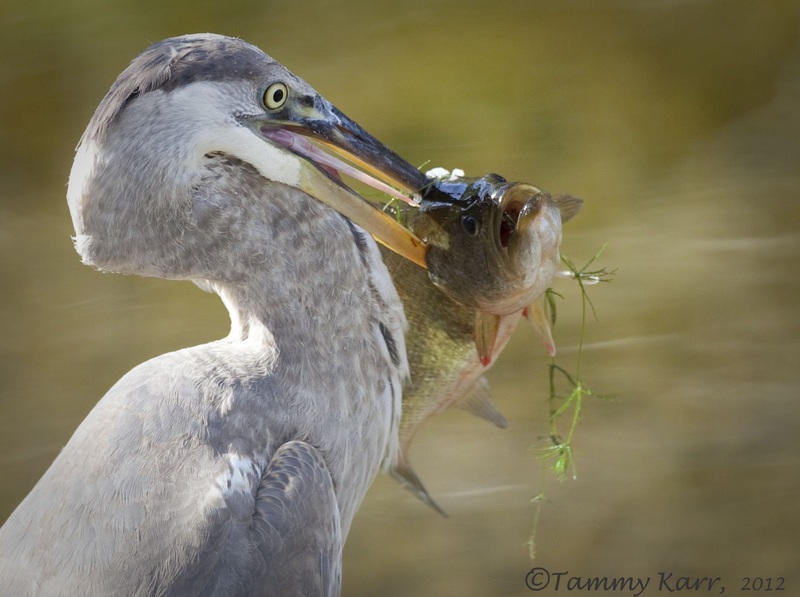 Hilarious shot of the heron, that fish looks pretty bummed. 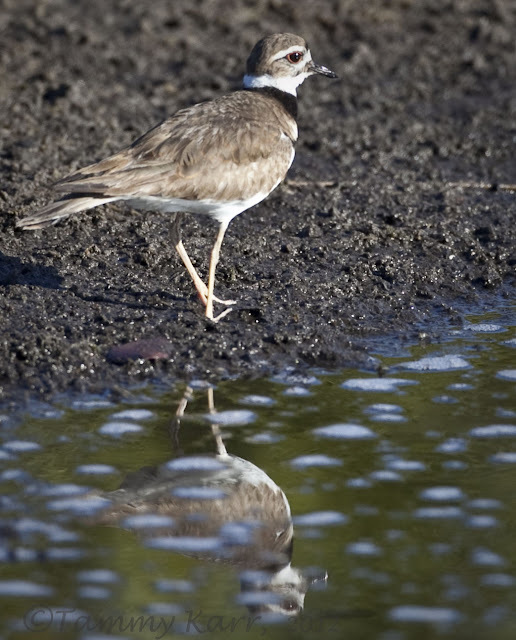 Lovely Killdeer shot and a lovely reflection, great set again Tammy. Oh my goodness, Tammy, these are gorgeous photographs! I love all of the reflection captures! The detail and lighting is out of this world. 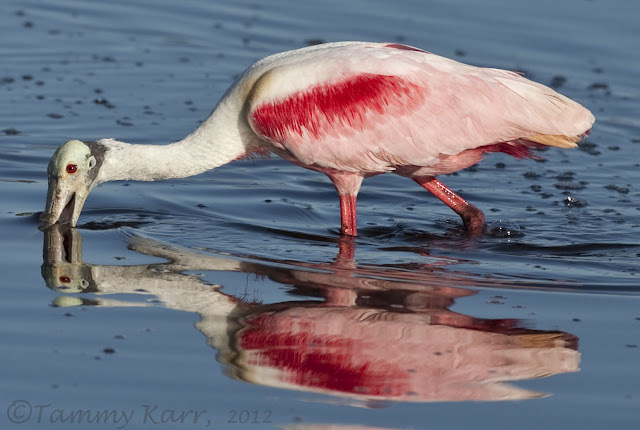 How lucky you were to be so close to the Roseate Spoonbill. I have only seen them flying aloft of foraging at quite a distance. Never near enough to get quality images such as yours. All of your photographs exhibit bird behavior so beautifully. The last photo of the heron with the BIG catch is priceless. Outstanding series! Beautiful shots and gorgeous reflections! Love all (as always) of your shots! What can I say Tammy that hasn't already been said, what a great day you had. Quality all the way and a great finish with the Heron-fish pic, outstanding detail. A wild life oscar would be in order if there was sush a thing. PS wish I could have been there!!. Oh my that is a humungous fish that heron caught!! Amazing photo! 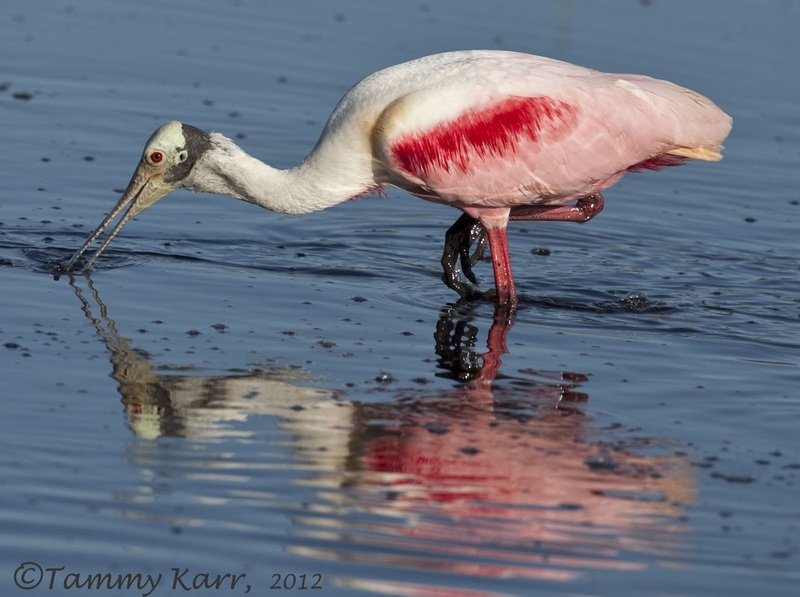 Love the spoonbill shots too... You've got some great birds down there. wonderful captures! and the reflection in the water gives them the more importance they deserve. The bird with the red spot seems blood at first sight. Beautiful, you did a great job! Beautiful mirror pic, the first one ! Gorgeous reflection in the first photo, Tammy! The Spoonbill is fabulous, and, of course, I love the heron shot! What wonderful reflections! And, perhaps the fish was saying something profound in that list image such as, "What the....?" 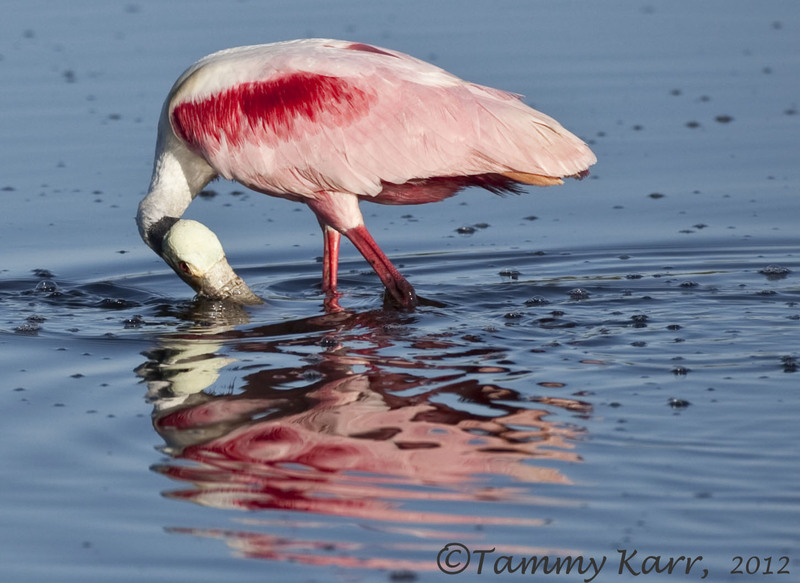 Amazing photos Tammy...The pink bird is beautiful and nice reflection....great shots!! Muy buenas tomas, con esos bellos reflejos,y la ultima en el momento justo,con el pez en le pico. Increible serie de fotografías Tammy. Son muy buenas.